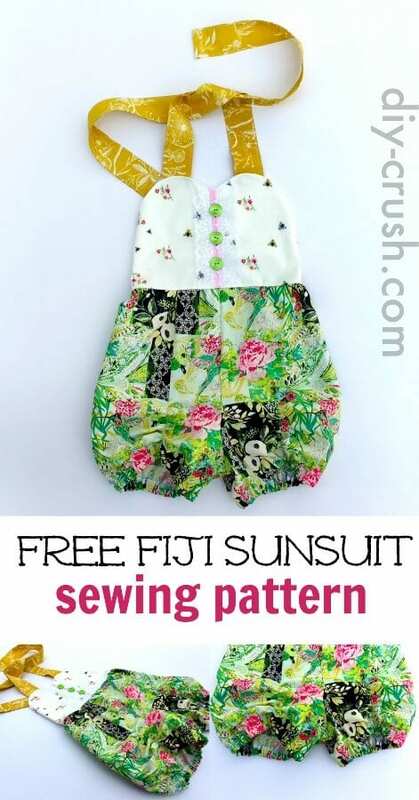 This free sunsuit pattern is perfect for kids up to size 6! It is a must-sew for hot days. It features a fitted bodice and has elastic in the back. No shirring, just regular band elastic! It ties behind the neck and the legs are short with elastic added which makes them look ruched. Cute effect if you are looking for a bit of a change to regular shorts. Comfy elastic around the legs make the shorts into a cute bubble. You can omit them if you like but I think it looks adorable with it.